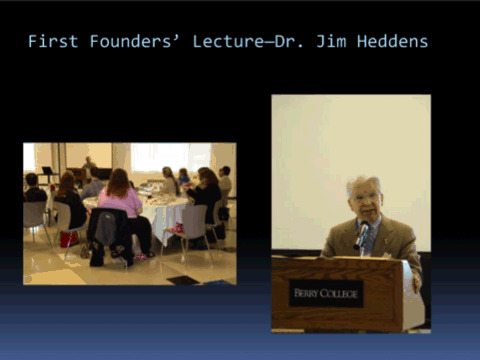 The Research Council on Mathematics Learning, formerly The Research Council for Diagnostic and Prescriptive Mathematics, grew from a seed planted at a 1974 national conference held at Kent State University. A need for an informational sharing structure in diagnostic, prescriptive, and remedial mathematics was identified by James W. Heddens. A group of invited professional educators convened to explore, discuss, and exchange ideas especially in regard to pupils having difficulty in learning mathematics. It was noted that there was considerable fragmentation and repetition of effort in research on learning deficiencies at all levels of student mathematical development. The discussions centered on how individuals could pool their talents, resources, and research efforts to help develop a body of knowledge. The intent was for teams of researchers to work together in collaborative research focused on solving student difficulties encountered in learning mathematics. Develop new and interesting materials. As a professional organization, the Research Council on Mathematics Learning (RCML) may be thought of as a vehicle to be used by its membership to accomplish specific goals. There is opportunity for everyone to actively participate in RCML. Indeed, such participation is mandatory if RCML is to continue to provide a forum for exploration, examination, and professional growth for mathematics educators at all levels. The Founding Members of the Council are those individuals that presented papers at one of the first three National Remedial Mathematics Conferences held at Kent State University in 1974, 1975, and 1976. The Wilson Memorial Lecture is an annual lecture established by the RCML Executive Committee as a result of a memorial fund instituted by Dr. Wilson's family. John Warner Wilson, a founding member, was in attendance at the annual Conference being held in Tampa at the time of his death. Dr. Wilson was on the Faculty of the University of Maryland from 1969 until his death in 1979. He was Director of the Arithmetic Clinic and Professor of Mathematics Education at the University of Maryland. Dr. Wilson held a liberal arts degree from Bowling Green State University, a masters degree in epistimology from Harvard, and a Ph.D. in Education from Syracuse. After service in the Army, he became a kindergarten and later a second grade teacher on the Onadauga Indian Reservation in New York State. In the early 1960's he directed the country's first arithmetic clinic. That clinic was begun by Dr. Vincent Glennon for the diagnostic study and treatment of learning problems in mathematics. Previous Wilson lecturers have included, among others, Vincent Glennon, David Berliner, Lauren Resnick, Paul Cobb, Richard Duran, Honorable Walter Komanski, Thom Alcoze, John Bransford, Johnny Lott, Frosty Troy, Robert Slavin, Daniel Leeson, Karl Schaffer, Alan Jones and Thad Stamer.